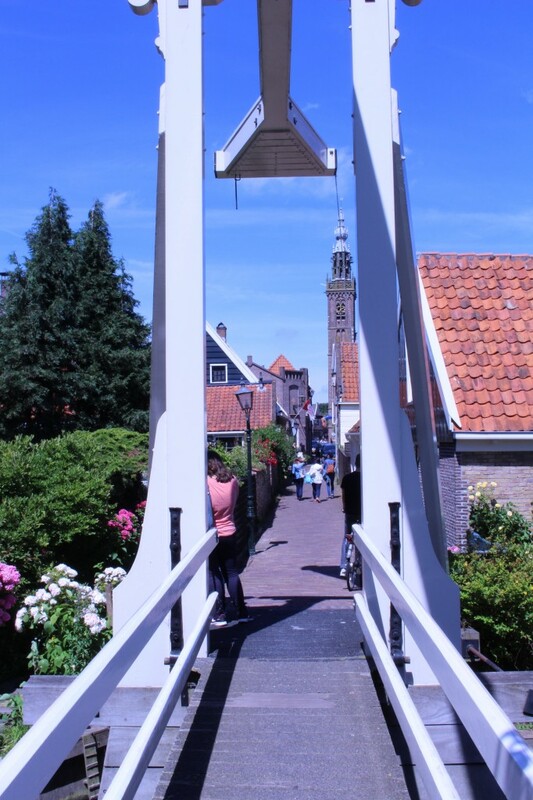 Things to see in Edam, the city of Cheese! 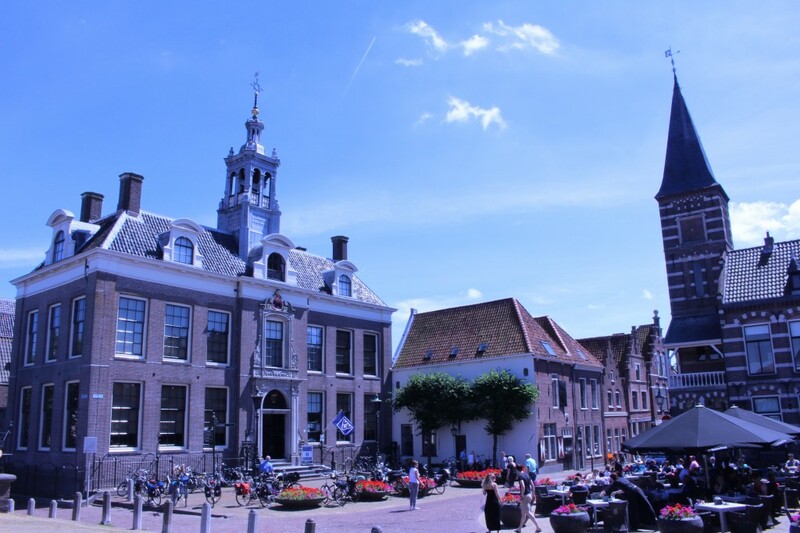 With this week promising beautiful weather and an actual summer, I decided to seize the moment and visit yet another city on my Dutch Bucket List. 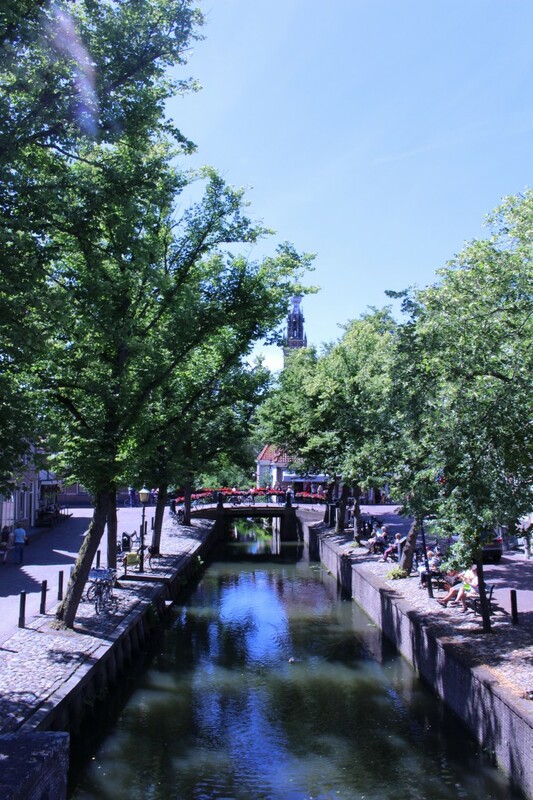 I headed to the province of North-Holland and went to the city of Edam! Yes, it is the city the famous cheese was named after. The city was given its name because of the E rives that crosses it and the Dam that was built on it, pretty straightforward. 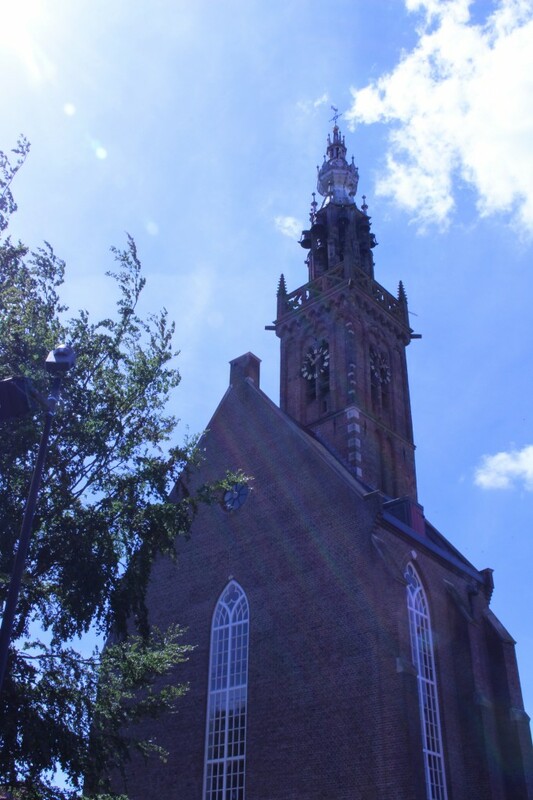 Edam is approximately a half an hour drive north from Amsterdam and if you are going by car like I did, I recommend you park at the Grote Kerk (Great Church) or also called St. Nicolaaskerk. The church is really huge when you consider the size of the city and was built in the 15th Century. 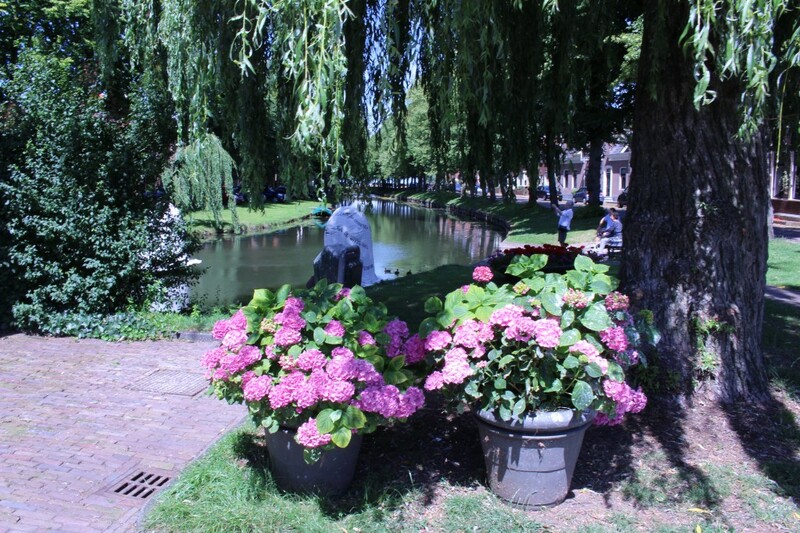 Less than 10 minutes’ walk along the canal you reach the Cheese Market. The Cheese Market was empty today (Sunday) but I can just imagine the cheese being displayed on the square. 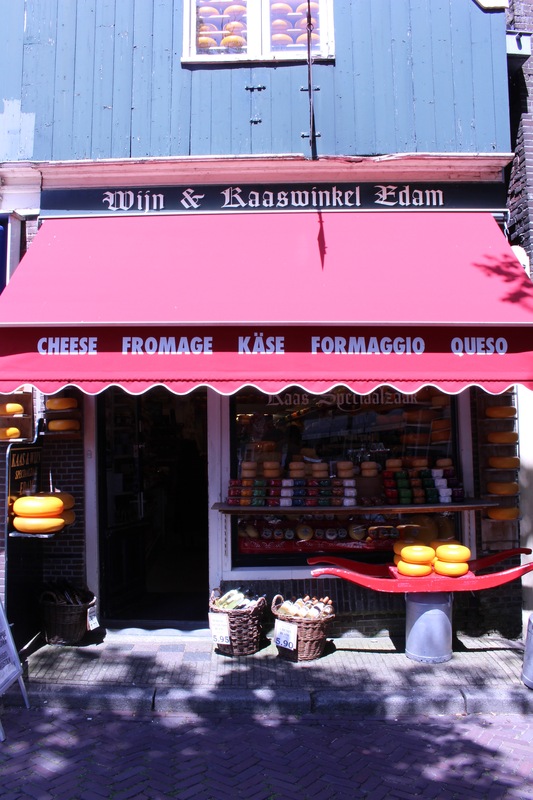 The cheese market is a famous sight for tourists to see but if there is no market there is still a shop with many kinds of cheese and very nice people working who will tell you about it and let you taste different cheeses. There is also a gallery next door where children paint about the history of the area and it is really nice to see. The exhibition is in the building next to the cheese shop and when you are inside you can feel how the floors are slanted as the buildings are tilted due to age. 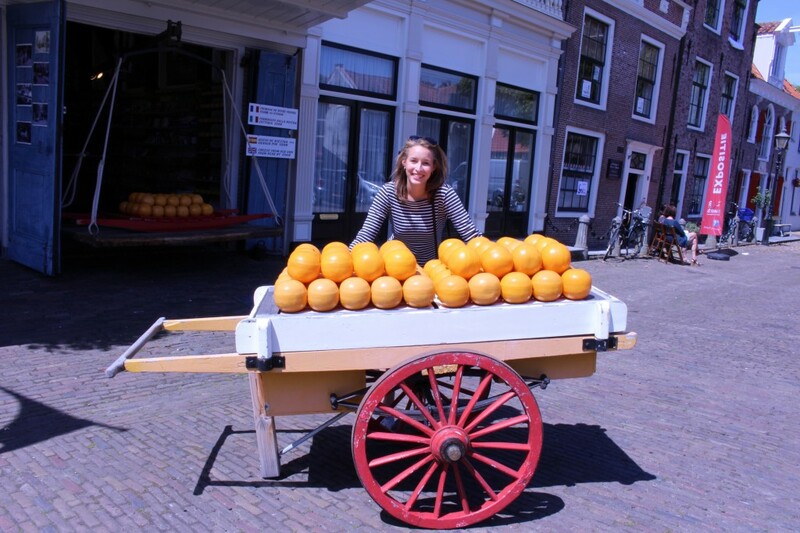 My touristy picture in Edam! 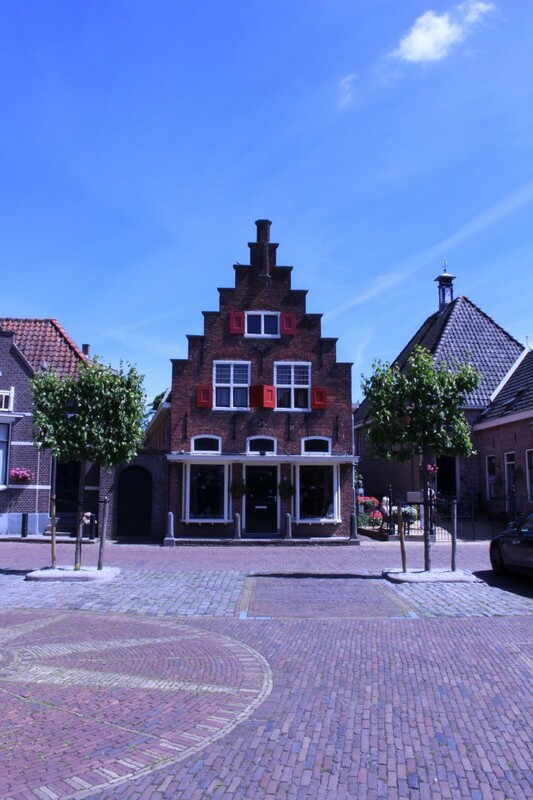 So many picturesque buildings in Edam, I simply couldn’t stop looking at all the houses. I was craving ice cream but did not buy ice cream at the square with the cheese market and decided to wait for something else. 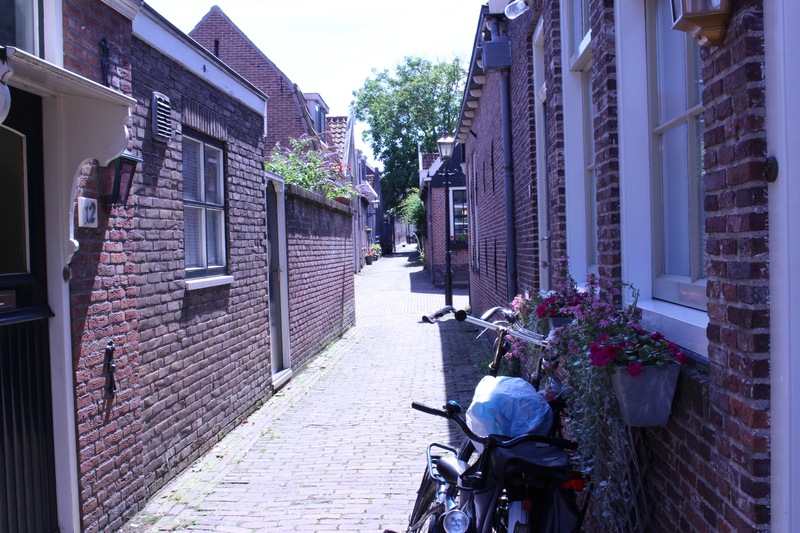 I then started walking towards the city center through small narrow and quiet streets. 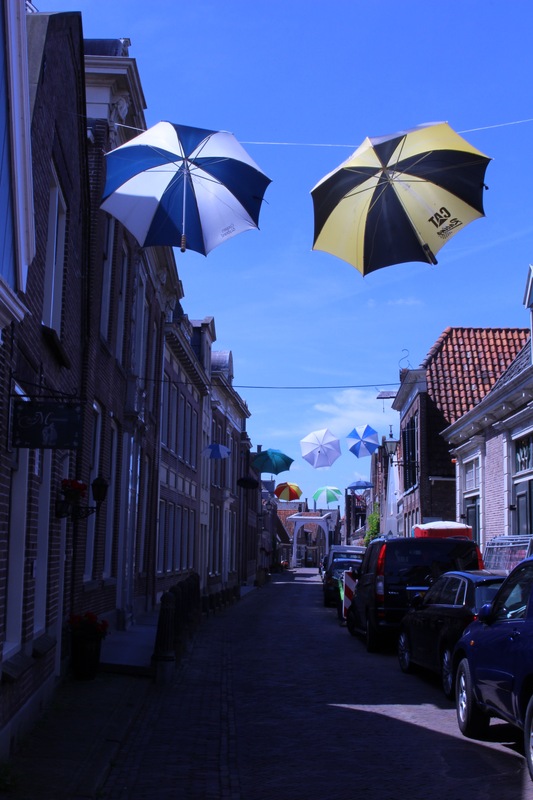 Walking a bit further there was such a lovely road with umbrellas hanging as decoration with a typical old fashioned bridge at the end called the Constabelbrug which is considered a landmark. 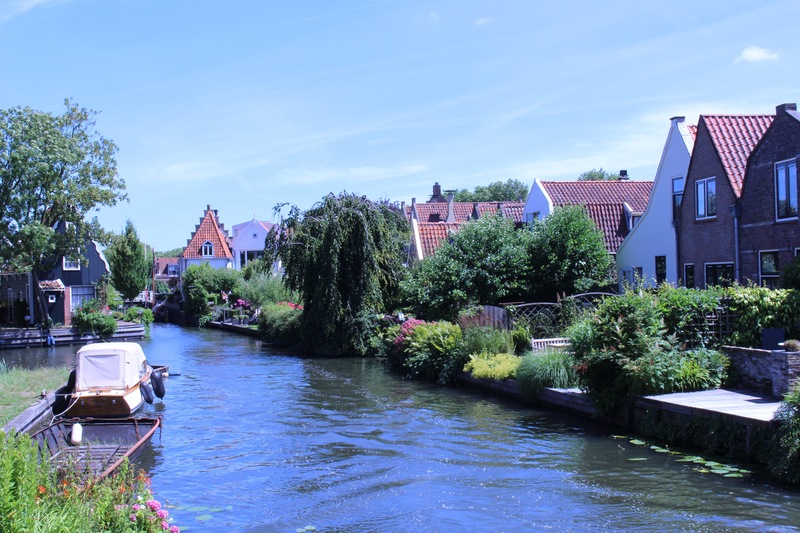 I walked towards the bridge and was pleasantly surprised to see a view of houses on the water side and exactly the image I picture when I think of the Netherlands. It also gives a nice view of the narrow streets filled with shops and people’s homes. From the Bridge I walked backwards and in the direction of the Nieuwe Haven or the new port. One of the first things I saw was a little cheese shop. I, of course went in and saw a cheese that I have been craving and wanting to buy for a while. It is the typical Edam cheese but with truffle. You will probably see them being sold throughout the country but they are these small round cheese covered in colored paper, each color is a different taste like pesto or pepper. If you like truffle I definitely recommend the purple colored paper! In the shop they also sold several other delicatessen. A little further on I came across another square that you must climb a little hill to see. 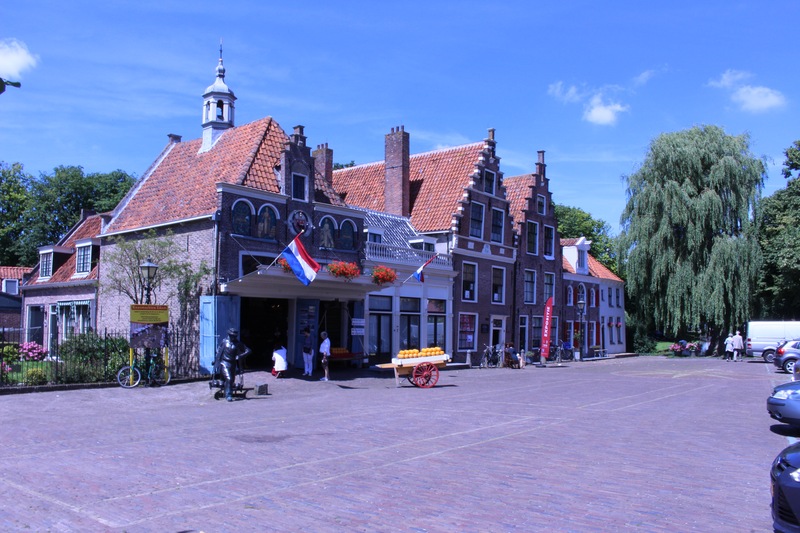 At the square you find the Edam museum and the VV Edam. If you have not had lunch this seems like a great place with a nice view to have lunch. I had already eaten but went to the Ijssalon Zommerijs Edam for some ice cream and it was worth the wait! The ice cream was delicious in perfect for this warm day. The shop is part ice cream shop other part clothing and all sorts of things and it is located on the bridge on the other side of the museum. 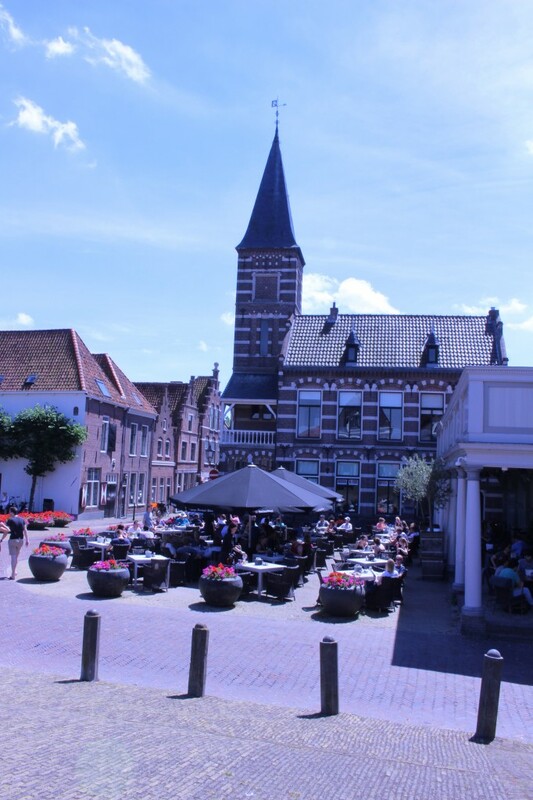 Ideal terrace in Edam for lunch or dinner! I saw down on a bench on this elevated bridge and enjoyed the sun, blue sky, and the beautiful view and good vibes in this city. From there I walked along the canal for a while and enjoyed seeing all the houses and all their characteristics. 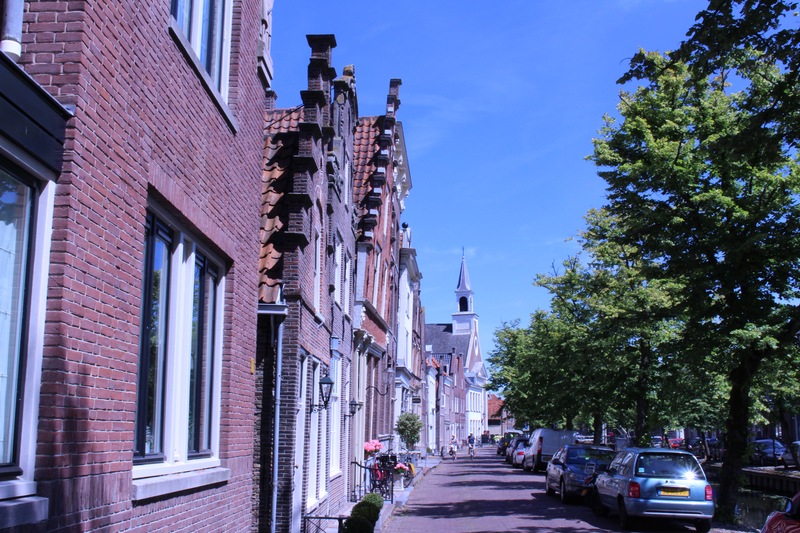 If you looked at a lot of the town houses you would notice that they are leaning forward because of age. It is really amazing to see (you can see in the picture below). Many houses also have names written on them and the year in which they were built. I actually found one called Sophie near the Cheese Market that was built in 1999! That was one of the most recently built because some date much further back! After walking around the town and seeing some more terraces I walked back towards the car. What is nice about such a city is that it only takes around 15 minutes to get back to where you started so it is all fairly close by. 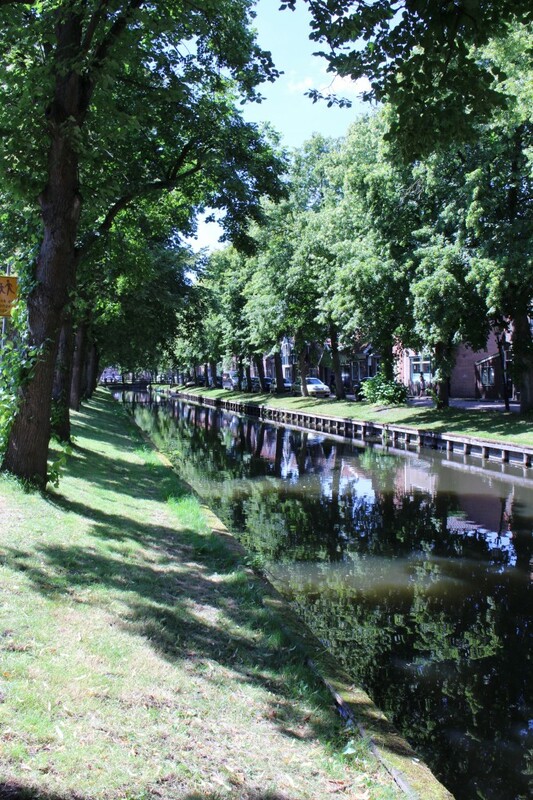 I took a parallel street to walk backwards and was amazed and the trees and the water and the reflections. This is a city definitely worth visiting and you only need a day or a few hours to see the main parts. If you have a bicycle I can also imagine it is nice to go for a ride around the city and you can even go to the outskirts. Walking around in Edam, The Netherlands.